Fluicell today announced the release of a new version of the software for the BioPen System. Biopen Wizard Version 2.1 has undergone a complete redesign to help users achieve their goals faster. Designed to perform localized drug delivery to single-cells and tissues, the BioPen System provides a platform for drug development and medical research, primarily targeting academia, research laboratories as well as pharmaceutical and biotech companies. 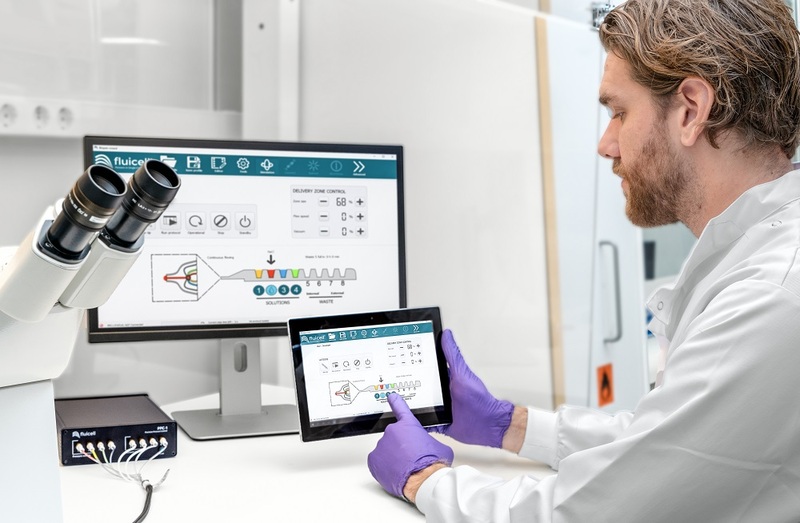 The new Biopen Wizard allows users of all experience levels to have direct control over how much, when and where a drug is delivered to a single-cell or a group of cells. The main interface has been enhanced with several new panels to give users total control over the drug delivery zone. In addition to these core optimizations, the Biopen wizard includes new features such as: experiment presets and user configuration files, immediate access to favorite settings, interactive tooltips to help users navigate with instant contextual support, and the ability to have the interface in a selection of different languages. A new automation editor module has been embedded into the Wizard to simplify both common tasks and to allow complex protocols to be easily employed. The BioPen® System is a solution delivery platform that enables researchers to perform localized drug delivery in very small doses to single-cells and tissues. It comprises the two products BioPen® PRIME and BioPen® FLEX, which are developed to suit the two most common types of microscope within laboratory research. Both products are tailored to enable cost-effective drug development and medical research, primarily targeting academia, research laboratories as well as pharmaceutical and biotech companies. Acknowledgement: we thank Mauro Bellone for his hard work as a developer for this new version of the BioPen software.